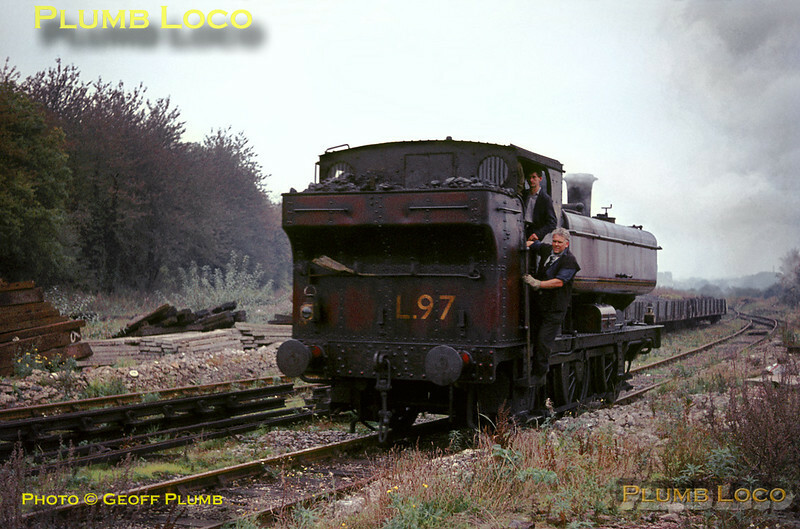 The shunter at Croxley Tip hitches a ride on the cab steps of LT 0-6-0PT No. L97 as it runs round some wagons at the tip during shunting on Monday 31st October 1966. Slide No. 2578.